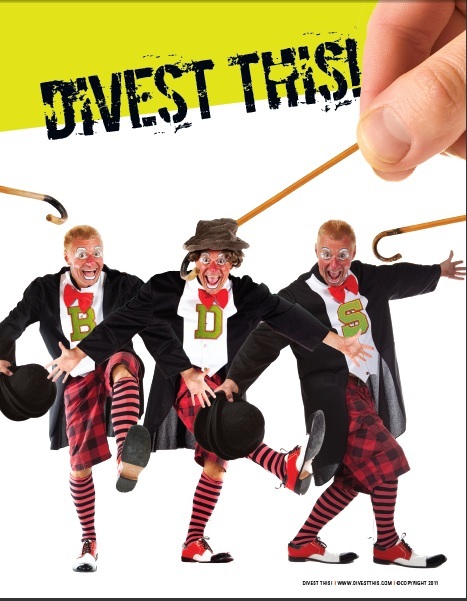 And now for some updates on the shenanigans still showing up on my radar as the various University of California divestment resolutions finish off their death scenes as the academic year winds to a close. To begin, at Stanford (and please forgive me for being repetitiously redundant): Divestment Loses Again! No news there, although one hopes that attempts to reconcile the differing sides in the debate turn out to be sincere and not just a mechanism for sneaking divestment back into the school via some backdoor. Moving onto to Berkeley, what would a BDS story be without attempts to pull a fast one, such as this story about the attempted hijacking of the name and reputation of the Mayor of San Francisco? The speed with which this hoax blew up in the BDSers faces provides some encouragement that, despite what they believe, the divestment cru cannot get away with anything. And finally, in case you concerned that any of the divestment votes that roiled student government up and down the West Coast for the last two months had any meaning whatsoever, here’s what the UC Regents had to say about the whole mishagas. So at the end of the day, all those all-nighters, all the time, all the energy, all the hostility and bitter divisiveness needlessly spread on campus after campus added up to nothing more than the BDSers doing whatever it took to demonstrate to themselves their own relevance, whatever the cost to the rest of the community. If there is one bright spot to this whole set of affairs, it comes from the students who rose up at all these universities to let the Students for Justice in Palestine types know that – despite what some may think – the boycotters do not own the campus. No doubt next year will be a hard one for Israel supporters throughout the UC system. But at least for now, they have learned that their voices count and their actions matter. Mazel Tov! If you want to know the kinds of people who are behind all those divestment resolutions across California campuses, this should give you a good idea.